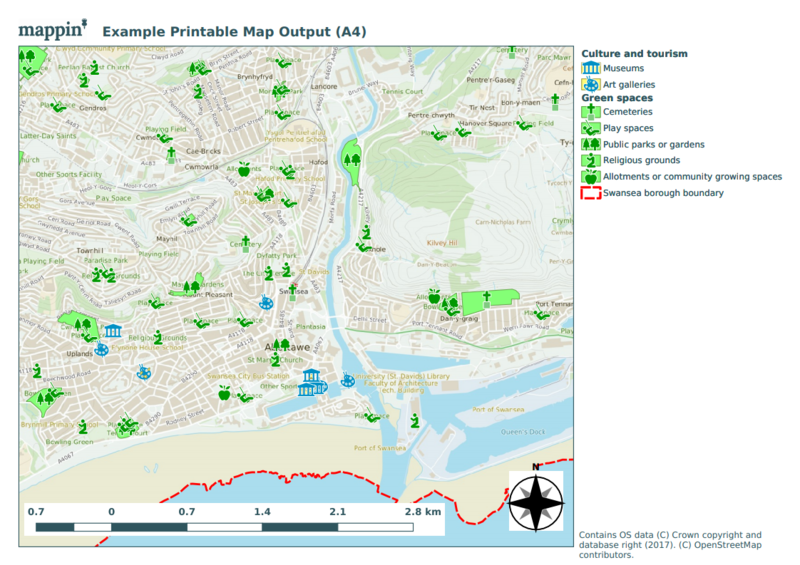 The Printing tool allows users to create high-resolution PDF maps, suitable for quality printing. 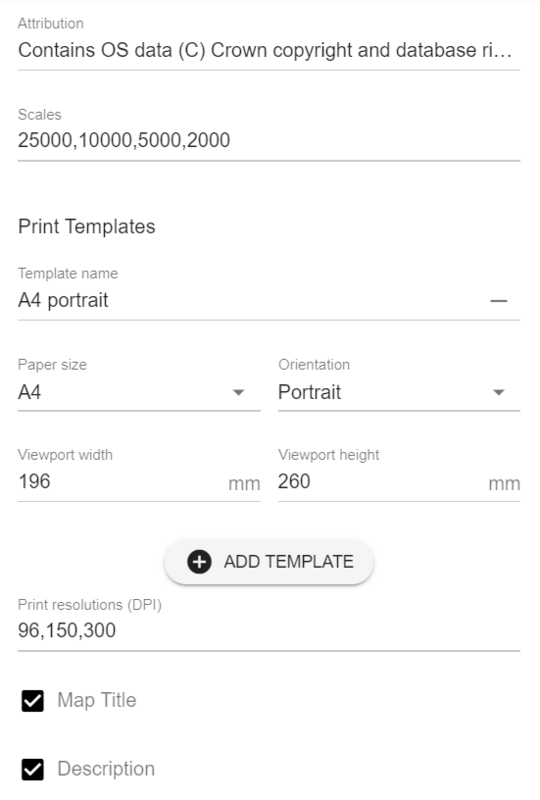 The user selects a paper size, orientation (currently only A4/A3 are supported) and map scale. Once the map scale has been selected a blue rectangle will appear on the map. This rectangle shows what will be visible on the PDF map. Left-clicking the blue view rectangle will unlock its position (dashed blue line indicated unlocked, solid blue line indicates locked), allowing it to be dragged / moved as required. A further left-click outside the rectangle will lock its position again. After clicking PRINT, the output PDF map will be prepared and sent to the user’s browser. An example map is shown below. The Printing tool has the following settings. In addition to the settings listed below in the Mappin administrator interface, your QGIS project file must also contain four print composers called A3 landscape, A3 portrait, A4 landscape and A4 portrait. 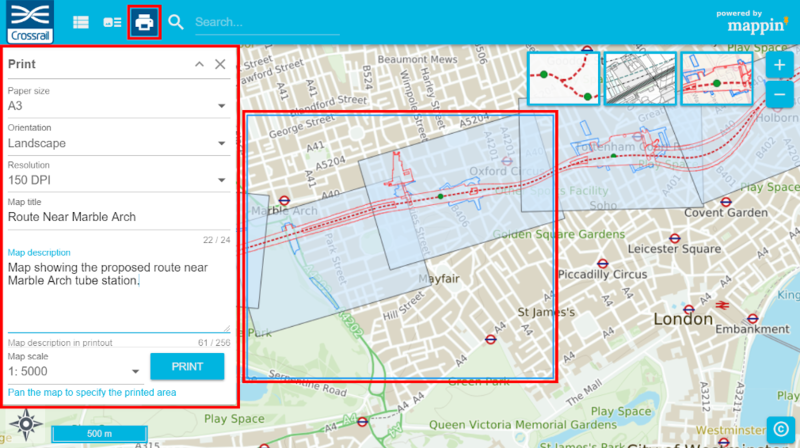 If you require attribution text to appear on printed maps, you can include it here. When the output PDF is created, a label object within the print composer with Item ID set to Attribution (if present) will have its content overwritten with this value. 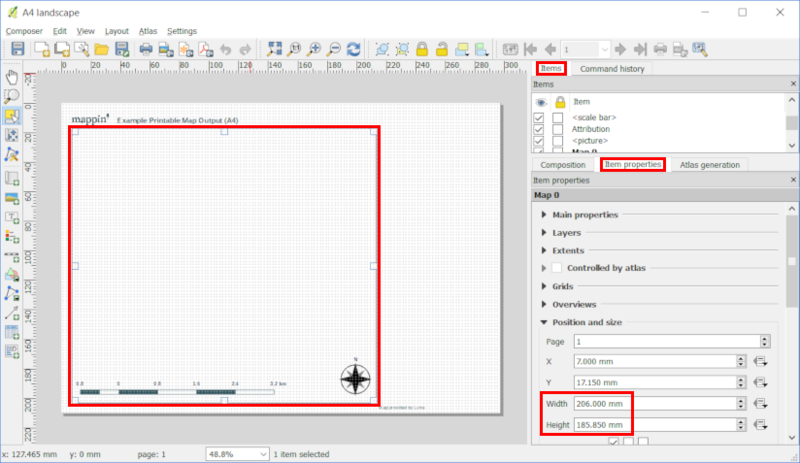 In order for Mappin to correctly position the PDF map content based on the position of the blue rectangle shown earlier, it must know the aspect ratio (ratio of height : width) of the map viewport within the selected print composer. Is a comma-separated list of scale denominators which are presented to the user in the Printing panel. Be aware that high-resolution printing at large paper sizes and small scales may take some time to complete.